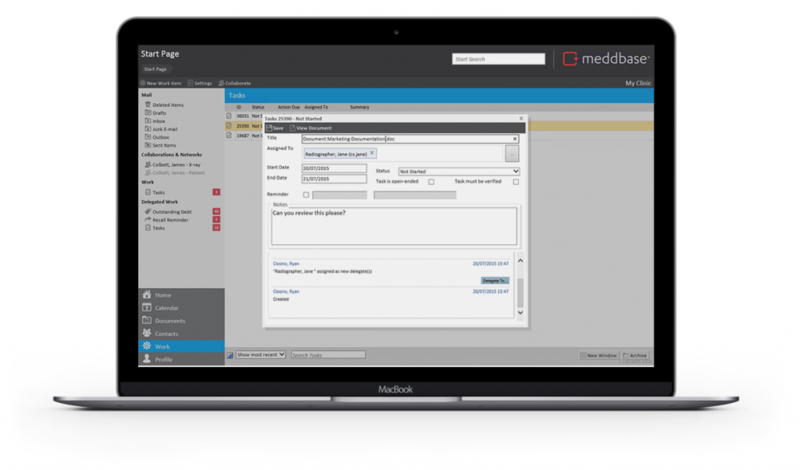 With our integrated and customisable workflows, Meddbase keeps track of your patients’ journey from registration to outcome and beyond. The potential for task management systems is often underestimated, not least of all because this usually involves the implementation of third party systems with no awareness of your clinical system. However, with Meddbase, task reminders are available immediately on the front page. Tasks can be monitored and tracked to ensure the work is completed and an automated reminder system ensures that not a single task goes unnoticed. This useful tool becomes even more powerful when automation is applied. Need to contact a patient when their membership renews? Not received a booking for a recall? Is that debt still outstanding? All of this and more create tasks for the relevant staff members to action.